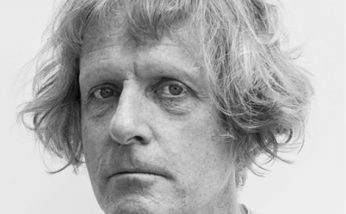 Artist Grayson Perry will deliver the first Orwell Lecture in the North in almost 20 years at the University of Sheffield in November. A new partnership between the Orwell Foundation and the Sir Bernard Crick Centre at the University of Sheffield will see the re-establishment of the prestigious event in the North of England. The lecture will run alongside an Orwell Youth Prize workshop for young writers. 40 young people will take part in an interactive, discussion-focused writing workshop with author Marina Lewycka, and then have the chance to attend Grayson Perry’s lecture. In his lecture, titled ‘I’ve read all the academic texts on empathy’, Grayson Perry will give an artist’s view on our emotions around politics and identity. He said: “I am an artist and I am a great believer in the power of culture to communicate in ways that are particular to the arts, a more holistic style of relaying information that talks not only to the intellect but the heart, body and soul as well. The Orwell Foundation’s flagship lecture – which has attracted notable speakers including Ian Hislop (2016), Dr Rowan Williams (2015) and University of Sheffield alumna Dame Hilary Mantel – has been given annually since 1989, originally in Birkbeck and Sheffield, but has recently been held solely in London. From next month there will be two Orwell lectures – the established Orwell Lecture given in London and a new Orwell Lecture in the North, which will take place in Sheffield.